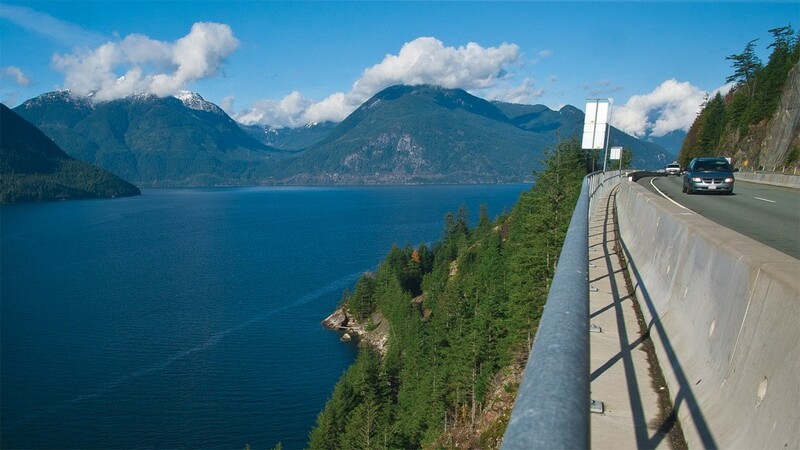 Marcon Metalfab in Delta, British Columbia, Canada excels in metal fabrication for the transportation, building construction and utilities industries. From design to installation Marcon does it all. Marcon runs seven days a week with both a day and afternoon shift. The shop has 98 team members from installation to office staff. Marcon invests in technology that can improve its speed of delivery. Each machine has its place but none magically changes the way the shop works. Marcon has an array of technologies which include a Mazak 3D FABRI GEAR 400 tube laser cutting system and recently added a Mazak OPTIPLEX 4020 Fiber 6kW. The tube laser-cutting machine was an unexpected investment but it turned out to be a key part of their operations. "Initially we weren't even shopping for a laser. We went to FABTECH looking for automated saws to help speed up the processing of guardrails. We knew about the abilities of the laser, but the cost was comparatively high. But once we saw what the laser could do, we knew we wanted it. We also could see that we could keep it bust 40 percent of the time with work we already had," said Burstein. The FABRI GEAR has also allowed for Marcon to win new job opportunities. "We landed the Johnson Street Bridge contract in part because we were able to design this integrated guardrail based on the capabilities of the tube laser," Burstein explained. "All LED handrailing before this always consisted of an extruded pipe with LEDs glued to them. The electrical is fed down to the lights and is clipped in," said Moffat. "That is not a durable product. And if you can destroy something like that, someone eventually will. Our design involved cutting a thin channel into which the LEDs are fitted. It cannot be broken, and once it is installed, you can't get the LED lights out without the correct tool." Mazak FABRI GEAR's precision allows Marcon to create this product. The FABRI GEAR 400 cuts a wide variety of tubes and pipes including round, square, rectangular and triangular. It can also process I and H beams, C-channel, angle iron plus additional user-defined shapes from in mild steel or stainless steel. This 6-axis laser cutting means you can cut at any desired angle for weld prep, plus achieve the highest accuracy for easy fit-up of assemblies - all in a single program cycle. Program-controlled loading, workholding, and unloading make it an efficient fabrication cell requiring minimal labor input for small to large volume part production. The FABRI GEAR 400 can process round pipe diameters up to 16 inches with material length of 315 inches. 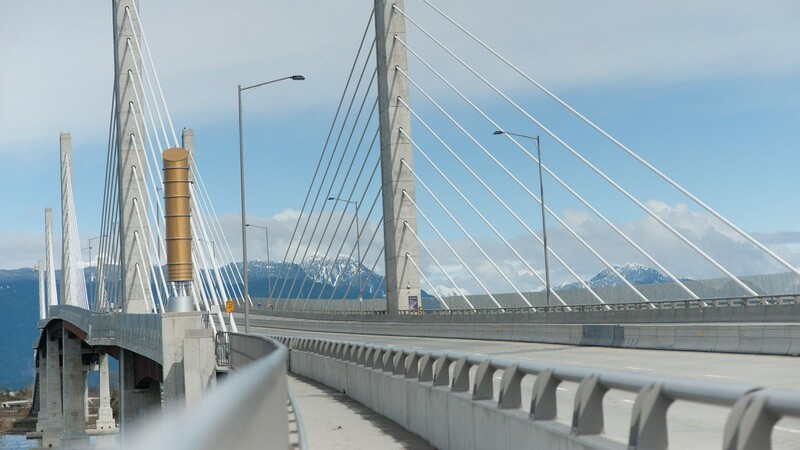 Marcon's current projects include Burrard Street Bridge in Vancouver, John Street Bridge in Victoria, and all of the bridge work for the Calgary ring road which includes 48 bridges. 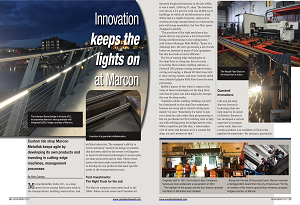 Burstein is sure that Marcon has come to be seen as a reliable go-to partner. "We've raised the bar of what they expect from working with a fabricator," said Burstein. Article written by Rob Colman and published in the November issue of Canadian Fabricating and Welding Magazine.